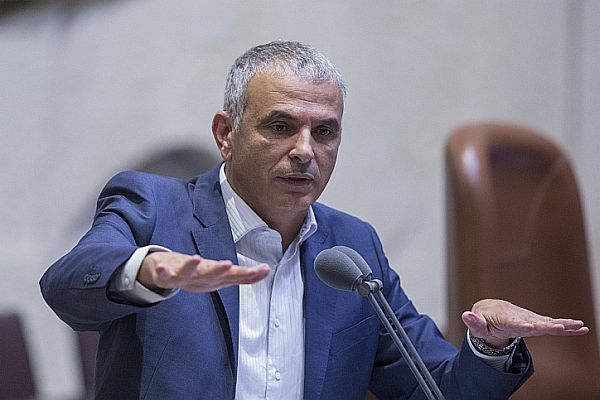 Israeli Minister of Finance Moshe Kahlon on Sunday signed an order to deduct NIS 42 million each month from the tax revenues that Israel transfers to the Palestinian Authority (PA). The offset was made in accordance with a decision made by Israel’s Security Cabinet in February to implement the new law that freezes PA funds, which was approved by the Knesset in July 2018, and to deduct NIS 502,697,000 ($130 million) from the funds designated for transfer to the PA by the State of Israel. The order signed by Kahlon deducts the monthly transfers over the course of 2019, totaling NIS 504 million, according to the defense establishment’s report presented to the cabinet a month ago. “I am convinced that there is no room for a reward for the murderers, and this is an important struggle in our just struggle against Palestinian terror. We have national honor, and there is justice in the world. We cannot accept the payments to terrorists and therefore decided on the move. We are committed to terror victims,” Kahlon stated. Stephen's company, WebAds, builds and manages online newspapers and websites to high volume readership and profitability - including JewishPress.com.